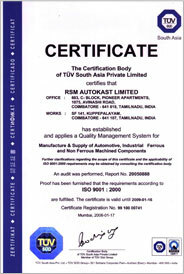 RSM Autokast Ltd. is an ISO 9001 : 2000 certified company, establishing and applying Quality Systems for Manufacture and Supply of Automotive and Industrial Machined Components. For RSM, Quality starts and ends at Total Customer Satisfaction. 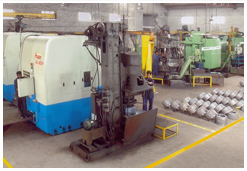 Emphasis is on "in the process quality", which is assured, with the support of all the employees. 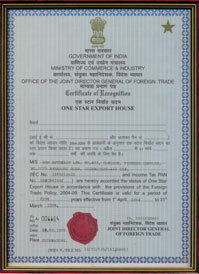 Quality assurance personnel assist in achieving this with the help of the state-of-the-art facilities. An in-house modern Metallurgy lab with calibration facilities ensures that all products of the same grouping are clones of each other.